Reinventing the pet care experience by providing the highest level of care throughout all of our services. As a family-led business, we care deeply about our pets and pet families. Our mission at Wagly is to provide the highest level of care across all of our services while giving pet parents peace of mind around costs, care, and attention. Wagly gives unlimited access to our vet staff for those on our plans, providing you the ability to never worry about bringing your pets by to ask questions or have an exam. We also pride ourselves on creating a daycare environment focused around stimulating your pet with physical engagements, providing healthy and focused attention, so they come home happy and healthy. We are excited to welcome any pet to our home, giving you and your loved one the attention you deserve. 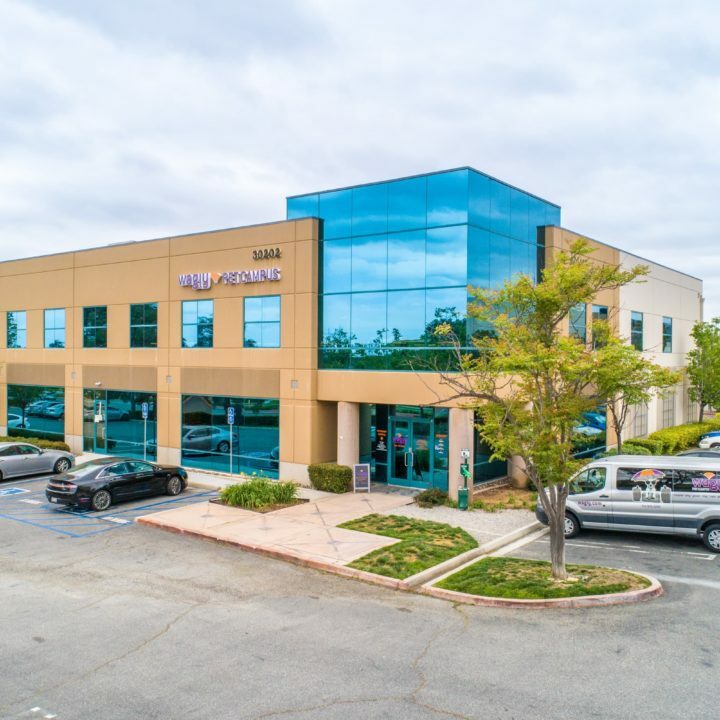 Don't worry about a thing; we have all of our services under one roof, so you only have to go to one location. 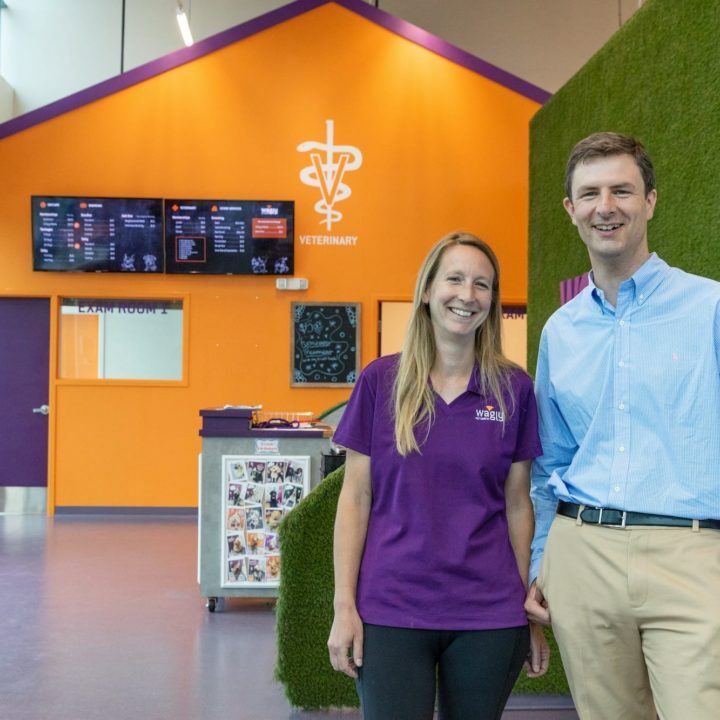 Our four pet hospitals and campuses are built around state-of-the-art technology and thoughtful experiences that establish a relationship between your pet and our veterinarians, daycare coaches, groomers, and all staff members. One convenient place, lots of exceptional services, and customer service you deserve. Using state-of-the-art technology, our on-staff veterinarians are prepared to treat and care for your pet without a hassle. 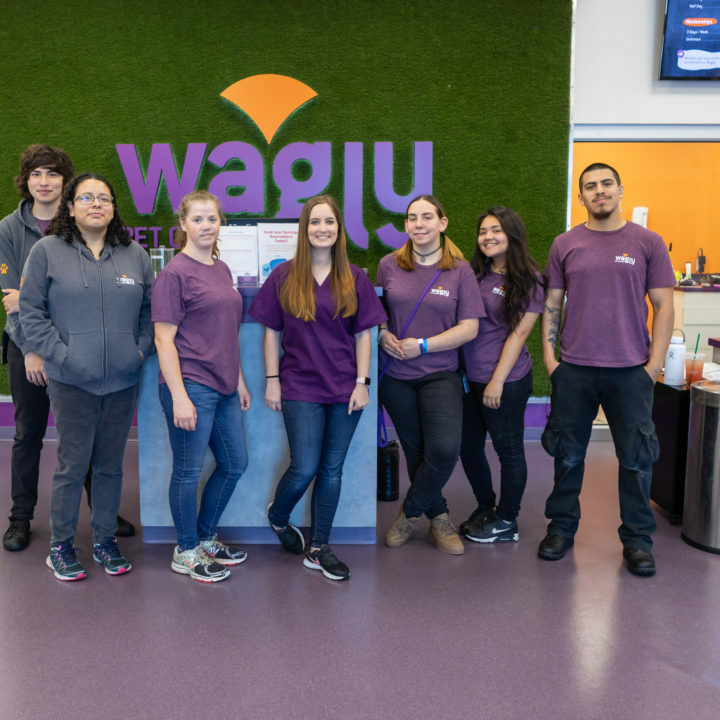 With our pick-up service, 24/7 available staff, and in-house laboratories, Wagly has everything you need in one place. We’re all pet lovers, sharing the belief that pets are family, so that’s how we treat them. Our groomers, trainers, and staff are all versed in the latest animal behavior practices and understand the individual needs of every pet. Following a preventive care format, our mission is to offer pet parents the option of monthly check-ups to ensure happy and healthy pets. We believe that play and socialization combine with access to our on-staff veterinary team fuels a healthy lifestyle and atmosphere.